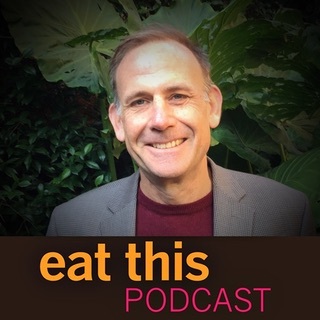 Food and diversity in Laos "You eat everything"
Today’s guest, Michael Victor, has spent the past 16 years living in Laos and getting to know its farming systems and its food. To some extent, that’s become a personal interest. But it is also a professional interest that grew out of his work with farmers and development agencies in Laos. Most recently, he’s been working with The Agro-biodiversity Initiative, funded by the Swiss Agency for Development and Cooperation. The idea is to make use of agricultural biodiversity in a sustainable way to reduce poverty and improve the livelihoods of people in upland regions. One thing the project has done is to collect all the information it can about agricultural biodiversity and make it available online. When Michael visited Rome recently, I grabbed the chance to find out more about Lao food and diversity. The Pha Khao Lao website is available in English and Lao. I think that the restaurant Michael mentioned is Thip Khao in Washington DC. Duly noted for next time. Any reports gladly received. Hybrid rice in Cambodia: Bamboo mentioned this article on hybridriceincambodia.blogspot.com. muneezay jaffery mentioned this article on twitter.com. susanmacmillan liked this article on instagram.com. Sonya H liked this article on instagram.com. Vanessa liked this article on instagram.com. Shulamis Rouzaud liked this article on instagram.com. Jess Fanzo liked this article on instagram.com. The staggering agricultural biodiversity that is such an important aspect of Lao food is on display at a new website.